← Hey hey it’s SaTHARday!! If we know what we should do, why aren’t we doing it? Is it simply a case of taking yourself, your body and your health for granted? I commonly use myself as an example, it’s the easiest one to use, and I think I live pretty well and I certainly strive to practice what I preach and walk what I talk. However, that doesn’t mean I’m boring and only ever eat amazingly well. I have balance in my world and in my diet- when it comes to some less than desirable choices, however, these are my 5%- that’s where my ‘just enjoy it’ attitude comes in. The rest of the time I make great food choices that I enjoy, (train hard) and reap the benefits. It’s not complicated. It’s about being educated to the right choices and making them with QUALITY food. So, let’s follow on from quality fats in my last post. What do I mean by healthy, quality protein choices? Often the argument is how much protein to eat. This is a valid discussion and one I have a strong opinion on, but the key before we get near that is the source of your protein. Meat, eggs, nuts, dairy, tofu, powdered supplements, these are all foods containing protein. However, some are better than others, but even more specifically than that we need to look at- what meat, what eggs etc. In my opinion, and the opinion of many very highly respected people in the health and nutrition field, great quality meat is the best bang for your buck protein source. Not only this, but many other amazing and crucial nutrients we need as humans. As I’m continuing to show throughout 2012 there are many many different meat sources out there. I always endeavour to source quality meat, whether it comes from the ocean, a farm, or the wild. The way that animal lived its life is vitally important to the quality of the meat it produces. This not only affects the taste but has a direct effect on your health, body composition and whether or not your ‘guns’ grow, your abs show or your shapely legs flow. What do I search for with my meat? If it’s a land based animal, including flightless birds, ensure that it was pasture fed, walked around during the day in a stress free environment and ideally endured as little stress during its death as possible. How do you find this out? Talk to your butcher! Information is power remember, if you don’t ask you’ll never know. The other way to generally ensure this is if the animal was wild game. These animals don’t have many cares and provide nutrient dense meat, a wonderful protein source and great taste to boot! To read more about the ideal meat choices see my post here and for a great example of tasty nutritious wild meat read about my week of Himalayan Thar. If the meat is from fresh water or the ocean then ideally we are looking for again is wild fish. Generally if fish is farmed, such as salmon for example, then its nutrients are lacking and this obviously directly impacts the quality of protein you get from eating its meat. Talk to your fishmonger and if you’re in Australia check out this great sustainable seafood guide. What meat are bad meat choices? Just like fats that have a good and bad rap, there are many meat options that are flat out bad! This is where asking the butcher is easy. However, meat from animals that have been raised in overcrowded feed lots and fed grains, corn and soy beans are a bad choice. 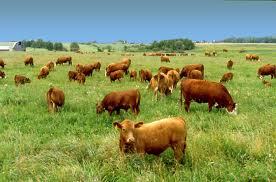 Commonly these animals have been pumped full of hormones and antibiotics as well as eaten poor nutrition. When we eat that meat we get such an inferior product, that greatly lacks any real nutritional value and passes on the kind of hormones and unnatural things it was bred on. This is a classic case of you are what your food eats. These animals usually lived rushed lives in order to be massed produced and get bigger quicker, hence the hormones etc they get pumped full of. This equals NOT GOOD. The next step from this is processed meats, such as hot dogs, pies, and most commercial sausages, hams and salamis. Remember we want our meat to be as natural as possible. If it is highly messed around with, full of preservatives, sugars and words that seem better suited to a pharmacy or Chernobyl documentary, then avoid! This is not only lacking in beneficial nutrients but full of undesired nasties. There is plenty of amazing bacon, ham, salami and sausages out there, but you need to source quality options, free from harmful additives- find a good butcher who sells quality products! They are poison to our body, simple. For more about the oxidative cost of processed meats and foods, read this great post. Remember this: Not all steaks are created equal! Ensure eggs are from free range chickens and ideally organic. Meaning they cruise around the paddock each day and return to their barn to lay their eggs, they forage on nutrient dense soil. This provides you with amazingly nutrient packed eggs and superb protein and fat. Nuts should be raw and even soaking them overnight (if motivated enough) ensures easier digestion and nutrient distraction. What is this and how do I do it? Read this nice summary here. Nuts, roasted in vegetable oils and covered in poor quality salt is a no go! Personally I avoid tofu and other soy based products where I can and I recommend that you do too. There is a lot of research to show the detrimental side of soy and its products far out weighing any claimed benefits. For more on this read this short and sweet Myths And Truths About Soy from the Weston A Price Foundation. Dairy products should be in small amounts and as natural as possible. That means: raw milk and cheese (unpasteurized and unhomogenised if possible. However, organic full fat and unhomogenised milk is second choice), organic/biodynamic pot set yoghurt/Greek Yoghurt. Milk and dairy products that have been messed around with by harsh processing techniques (eg. Pasteurization) are lacking in nutrients and any they do have become harder to absorb. They also lack quality enzymes that help to process lactose, hence why so many people have a problem when they drink ‘normal’ milk. Another big one in our ‘first food’ that I discussed last post– breast milk- is lactose, however as mentioned above, we remove the good stuff in cow’s milk that help us break down lactose. This is immensely counterproductive. For more information on milk click here. Protein powder supplements are a great way to get much needed protein at times. However, I stress that this should be the icing on the cake and used when appropriate, such as after training or if you happened to be wanting to really put some serious muscular size on, you may use this more often in order to help get your overall protein intake up without taking down the best part of a chicken farm each day. Ensure that your protein supplement is high quality, i.e. 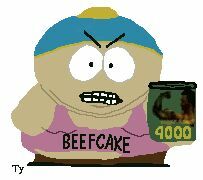 it is purely whey protein and doesn’t contain a large amount of additives, just a very small amount of sweetener if anything. This is usually masked with bright and unnecessary marketing and names such as: ULTRA MEGA HUGE MUSCLE GAINER FAT BURNER AND OTHER EXTRANEUS FLASHY TITLES TO TRICK YOU INTO BUYING THIS protein. Note: not a real brand name… I recommend a WPI (whey protein isolate), ideally from New Zealand, which, in my opinion, generally produces the best protein powders on the market, and Casein before bed for those wanting to really put on muscular size. And that’s quality protein sources! Meat from naturally raised, pasture fed or wild animals and fish. Free range organic eggs from pasture raised chickens, raw (and soaked) nuts, raw, natural organic dairy products and pure protein powders! What are healthy, quality carbohydrate options then? This is one of the tricky ones. There certainly is a lot of argument around this subject, however, through my own considerable reading and research as well as self experimentation I believe this is one area where a lot of care must be taken. If you want to shed body fat, gain muscular definition and shape, become truly healthy and really look after your body then breads, pastas and ‘traditional carbs’ like this are to be generally avoided. Not to mention highly processed snacks and sugary drinks. What do I eat instead? Make sure your first port of call for carbohydrates is vegetables. A healthy balanced diet should include a large amount of veggies. Leafy greens such as spinach, broccoli, kale, lettuce, cauliflower, brussel sprouts etc are a great source of carbohydrates, as well as numerous other vital nutrients. After that, root vegetables such as sweet potato, carrot, beetroot and pumpkin but in lesser amounts. Other great sources of carbohydrates are raw fruits. Fruit contains fructose, however, unlike many sweet processed foods that contain high fructose corn syrup which is a terrible source of carbs, fruit has many wonderful minerals and vitamins that are key to a great diet. Eat fruit, but limit to 2 pieces per day. Ideally, have after training. After this use buckwheat and quinoa (and wild and black rice in small amounts) as options instead of rice and pasta, but keep it to a small serving, and only on the days you train. There is a time and a place, such as immediately post training, where simple carbohydrates (and quality protein) are important, so for simplicity, my recommendation here is to stick to quality fruit, eg. banana, dates, apple. And that’s quality carbohydrate sources! 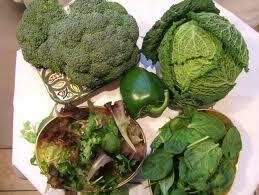 Leafy greens in large amounts and fruits daily, root vegetables, buckwheat and quinoa on training days. Do not wait and hope- ensure all of your food options are quality! ‘Healthy’ fats, ‘healthy’ proteins and ‘healthy’ carbohydrates. Give your body its best chance. Here is a simple rule of thumb: if it’s processed and has been altered from its natural state to get to your mouth, leave it out where possible! Choose quality food options! Remember, if something says ‘low fat’ it is most likely high in sugar and contains loads of other nasty chemicals as well as being nutritionally deficient- avoid! When it comes to dropping body fat and developing a defined shape, there is more to the puzzle than quality food, but this must be the starting point. Exact amounts, macronutrient ratios and the icing on the cake supplementation, as well as the right exercise, are all important considerations. Start with quality food choices and go from there. If you eat slowly, chew your food well and drink water throughout the day- how hungry and energetic you feel should start to give you a guide to your specific amounts needed. Listen to your body! 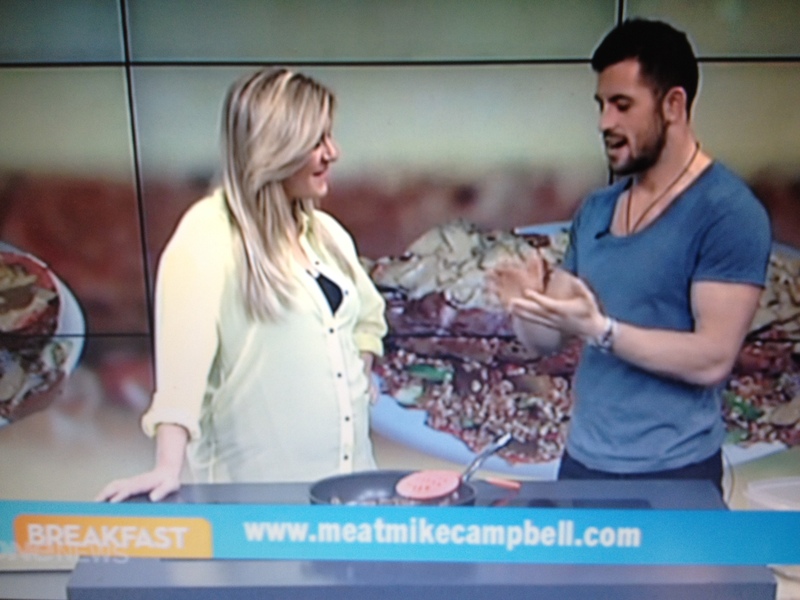 Now go and buy some quality meat and enjoy the hell out of it- it tastes great and is amazing for you! Fantastic Article – well written and informative. Thanks Mike! Thanks Paula! That’s the aim- bring people great information that’s easy and simple to understand and implement!